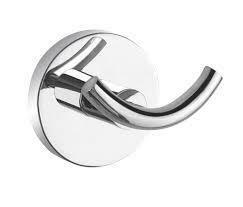 We are a leading Wholesale Trader of toilet paper holder, towel rail, robe hook, towel ring and toilet paper holder with flap from Delhi, India. 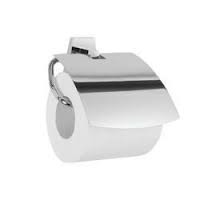 We are the prominent company which deals in the manufacture and supply of Toilet Paper Holder used to hold the roll of toilet papers in the toilet. Exceptional finishing and exquisite design are the assets of our paper holders which are fabricated from supreme quality of material procured from our renowned and trusted vendors. Being a well-established organization, we are offering a qualitative range of Rob Hook. Immensely popular in the market, the offered hook is manufactured using the best quality components and advanced technology. The offered range is rigorously tested on various parameters ensuring its quality and functionality. This hook can be availed from us in different technical specifications to meet the requirements of different clients. We are offering these hooks at best market price. Based on rich years of experience in the relevant field, we are providing unmatched collection of bathroom accessories such as Towel Ring. These rings are artistically designed and developed to exhibit the modern interior and light up each bathroom. We have offered rings in various shapes and styles to allow clients select according to their choice of budget and preferences. 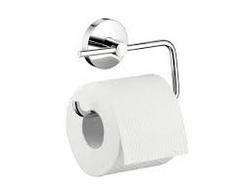 Facilitated by technically-advanced process, we are offering a qualitative range of Toilet Paper Holder With Flap. To add a touch of elegance to the room, our offered range is the best choice. These products have gained appreciation from every nook & corner of the country, owing to their mesmerizing design and corrosion resistance.